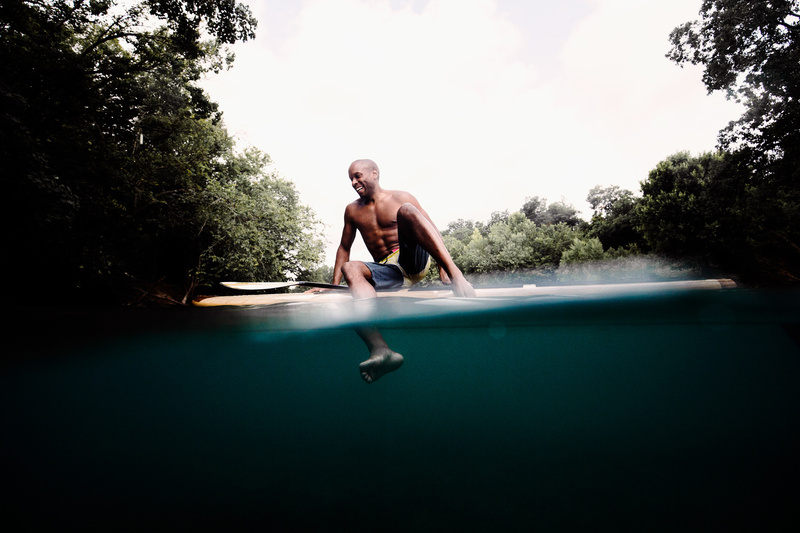 Tony, founder of Jarvis Boards, preparing to take a plunge into the 68°F water of Barton Springs in Austin, TX. Technical: Natural early morning light. Canon 1Dx with Canon 16-35mm f/4 in AquaTech housing.